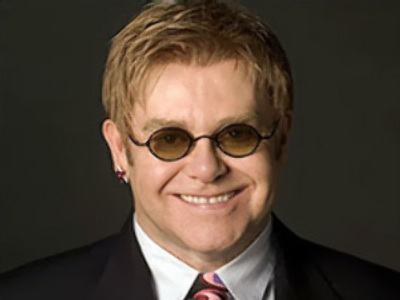 Sir Elton John has become the latest world star to visit Russia for a performance at a private party. 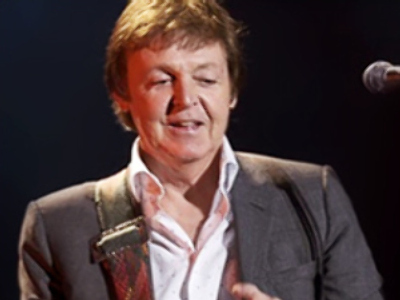 The British pop icon reportedly received $US 3 million for attending Sunday’s grand opening of a concert hall in Rublevka, a super-rich area of Moscow. He also presented the new collection of Chopard luxury watches named after the singer. Some tabloid reports claim Sir Elton ditched a concert in the Finnish capital Helsinki in favour of his big Russian pay-day. This was not the first visit by the British singer to Russia. In July last year he gave a concert in the city of Rostov-on-Don in the south of the country. Not a single visitor paid for seeing the two-hour show – Sir Elton’s visit was sponsored by businessman Vadim Varshavsky. While Elton John was dining after the concert, teenage fashion designer Kira Plastinina was waving goodbye to Nicole Richie. Paris Hilton’s best friend was in Moscow in Saturday to take part in the opening of yet another of Kira’s fashion shops and the party which followed. The visit was “purely private”, said a friend of the Plastinin family. Inviting world-famous stars to entertain your guests is a fad among Russia’s rich. President Dmitry Medvedev’s favourite heavy metal band – the legendary Deep Purple – travelled to Moscow in February when energy giant Gazprom was celebrating its 15th anniversary. A barefooted Ian Gillan and Co rocked live for the man himself (although at the time Medvedev was a mere First Deputy Prime Minister and Gazprom’s chairman of the board) and other powerbrokers, including Vladimir Putin. Another celebrity seduced by Gazprom’s money was Tina Turner, who arrived in Moscow right after taking part in the Grammy Awards ceremony. The long flight from LA didn’t seem to fatigue the star, judging from the Private Dancer star’s performance of a dozen hit songs. Gazprom didn’t disclose how much it paid to Deep Purple and Tina Turner. Tabloids mentioned the sum of $US 2.5 million in the case of Queen. A real champion in inviting star singers to private parties is Telman Ismailov, whom the Financial Times called one of the most extravagant billionaires in the world. The owner of the AST publisher and a dozen other businesses on various occasions had Ricky Martin, Robbie Williams and Mariah Carey perform for his guests. And Jennifer Lopez sang him Happy Birthday in 2006 when the businessman turned 50. J Lo reportedly earned $US 1.5 million for gracing the party. Making a flashy present for the 50th birthday is a popular theme. Metals tycoon Vladimir Lisin invited Gordon Sumner, better known as Sting, to his party for a reported sum of $US 1 million. Both were apparently most satisfied with the event, with Lising hearing his favourite singer live and Sting receiving a $US 200,000 bonus for an extra song. Christina Aguilera was the star attraction at the wedding party of banker and chemical business owner Andrey Melnichenko. Reports on how much lighter Melnichenko’s pocket was after inviting Aguilera range from $US 1m to $US 3.5m. The singer didn’t even have to go to Russia to perform for the billionaire – the high profile party took place in France’s Cote d'Azur resort. And for his wife Aleksandra’s birthday Melnichenko brought Jennifer Lopez and all her crew from the U.S. to London. Russia’s celebrity businessman Roman Abramovich also follows the trend. In June, when his art loving girlfriend Dasha Zhukova was opening a gallery in Moscow, controversial soul diva Amy Winehouse was there to entertain the guests. Both Abramovich and Zhukova thanked the Grammy winning singer for coming, with the BBC reporting that the gratitude amounted to $US 2m. Singers are not the only celebrities that get a warm welcome from Russian billionaires. Paris Hilton was visiting Moscow in October last year on the invitation of Plastinina – or rather her father, the board member of Russian food giant Wimm-Bill-Dann, Sergey Plastinin. Hilton partied and took part in the opening of Kira’s clothes boutique, leaving with a tidy $US 2m in her pocket.